We highly recommend Chris Allen and his building crew to build your next home. We were first home owners in 2009 and having never owned or built before we were quite 'green' when it came to builders. We were told by family and friends to get 3 quotes to compare different builders for not only price, but inclusions and building design ideas to suit our block of land. After our first 2 quotes we were fairly satisfi ed with what was quoted. However, we went and saw Chris Allen who was very approachable for our 3rd and fi nal quote. Just as well...because he blew the other 2 builders out of the water when it came to value for money and ultimately the inclusions list. Chris also was a big help in guiding us where not to cut corners when trying to keep within our price range. He also helped out in more ways than one with little extras along the way. The whole building experience went smoothly and we are very happy with the quality of the build and the fit-out in general. Also a quick mention of Trevor Williams (building supervisor) and Kelly Lenz (interior decorator) who made the whole process enjoyable and stress-free. In short, Trevor can manage any project and fi x any problem; and Kelly can help you choose an assuring theme with that professional touch. Finally, we found Chris to be an honest and sincere character who values his reputation as a high quality builder in the Gladstone area...this was reflected in our new home. We really had a wonderful journey and good experience building our home with Chris Allen and his helpful, friendly staff. We enjoyed being involved throughout the entire construction process. They paid attention to our requests and were very patient and suggestive with all our enquiries. We loved the way they worked with us to create our lovely home. Thank you guys. Keep up the good work. We will recommend you to anyone who is looking at building a home. We cannot speak more highly of Chris and Dianne Allen of Gladstone Designer Homes. We've been four homes with them and the quality and attention to detail is second to none. Chris, Dianne and their fantastic staff were on hand every step of the way to make sure everything went smoothly. They bought every project in on time and within budget. 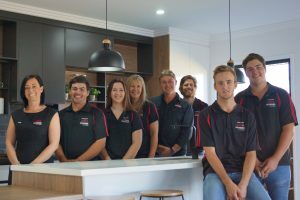 Their wide range of house designs made choosing a plan easy and the inclusion of a professional colour consultant ensured we got just what we wanted every time. 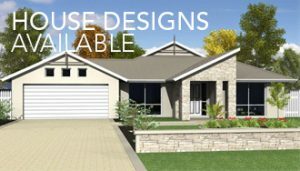 If you want a no-hassle build at the best price, you can't go past Gladstone Designer Homes. We wouldn't build with anyone else! My wife and I approached Chris Allen in the shadows the GFC at a time when there was quite a Government incentive to build a first home. Chris was great he met with us on different blocks around Gladstone, Tannum Sands, and Boyne Island and discussed the merits of each block of land. Being a young couple and having never owned a home - we didn't know the process of building a home much less all that we really wanted in a new home. Being able to discuss ideas, choose a home plan, meet with his interior decorator and ultimately build the home of my young family dreams was great! 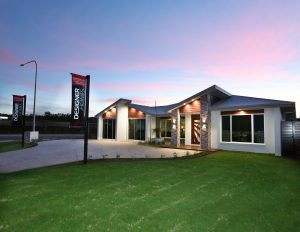 We checked with several builders in Gladstone and saw what their standard range included. With Chris we knew what your wants would realistically cost and helped us price our contract accordingly. I would fi rmly stand by Chris Allen as using on the best quality fit out - most of which was in his standard range when in comparison to other builders. I am a local Financial Planner and MFAA certifi ed mortgage broker and Chris Allen is a great BSA certified builder that I recommend my clients to. I would love to build again with in an investment property in the next few years.